The famous Transfagarasan, the vital A1 trans-Carpathia and Romania’s worst road – the little DN18 in the Rodna Mountains – all in line for work in 2015. The worst road in Romania is to get a €92m makeover. Stretching nearly 90km from Moisei to Iacobeni in the Rodna Mountains – part of the Eastern Carpathians in Northern Romania – DN18 accesses one of the most scenic parts of a scenic country. However, it is lined with potholes and patches nearly the whole way according to locals. The work will be financed by a loan from the European Investment Bank, topped up by the Romanian government, and is expected to take four years. DN18 is one of a number of roads listed in next year’s upgrading plan, approved on 16 December. Also included is the highway from Targu Mures in central Romania to Iasi on the Moldova border, close to Chisinau, and Jeremy Clarkson’s favourite, the Transfagarasan high altitude road. The work on Transfagarasan means it should open for longer than its current three/four month operating window. Most importantly for the country as a whole, a tender will be issued in January for studies on the vital trans-Carpathian section of the A1. Hugely successful budget car maker Dacia has long lobbied for the completion of the A1 across the mountains to give its factory in Pitesti direct access to markets in Western Europe. Currently the bulk of its production is shipped from Constanta on the Black Sea. The rest struggles up the beautiful but overcrowded single lane DN7 Olt River Valley road. Like almost all planned motorway projects in Romania, the A1 was downgraded to expressway specification in the national transport plan published in October to make it cheaper, easier and quicker to build. Work should start in the next two years said new Transport Minister Ioan Rus on Tuesday. When complete, along with on-going works on the A1 west to the Hungarian border, Bucharest and the Black Sea will be linked to the European motorway network for the first time. Bucharest is 1,475 miles from Calais. 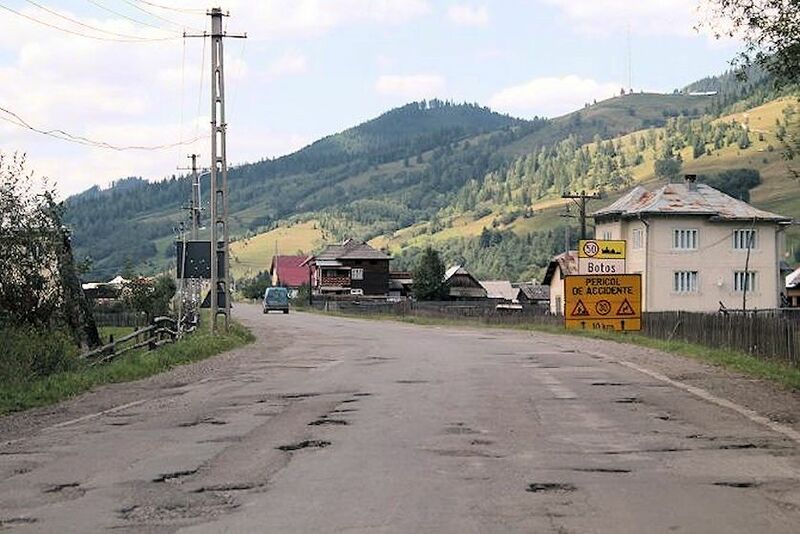 For the record, potholes and poor surfaces were not a problem on our – admittedly brief – drive through Romania. The overwhelming issue is lack of dual carriageway fast roads.